The Creepshow release 7″ prior to UK Tour and forthcoming album. Canadian Punks The Creepshow have released a 7″ vinyl single entitled ‘ Sinners & Saints’ b/w ‘Hello Joe’ on People Like You Records in the run-up to their UK/European tour. It is available from People Like You Records. The single is also available on i-tunes. The band have released a ‘Karaoke’ video of the B-side, ‘Hello Joe’ which is a Beatsteaks cover and can be viewed here. THE CREEPSHOW were founded in 2005 as a psychobilly-punkrock band in Toronto. Since that point they released three full-length albums and played countless tours and festivals with the likes of Rancid, Tiger Army, Agnostic Front and Broilers. In 2012 singer Sarah “Sin” Blackwood left the band, it was a blow but the (creep) show must go on and she was ably replaced by Kendalyn “Kenda” Legaspi in the same year. 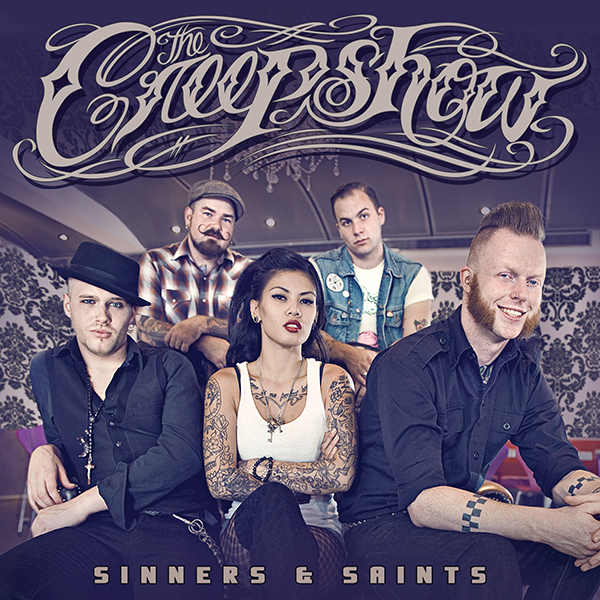 Now in 2013 THE CREEPSHOW are back with their great single “Sinners & Saints” , tour and a new album entitled “Life After Death” due for release in October 2013. This entry was posted in Press Releases and tagged brand new album life after death, Daniel Flamm, hello joe, Kendalyn “Kenda” Legaspi, Kristian “The Reverend McGinty” Rowles, People Like You records, Psychobilly, Punk, Sandro Sanchioni, Sean “Sickboy” McNab, sinners and saints, The creepshow. Bookmark the permalink.